Good evening everyone! I am back as promised with a new to me stamping company. Richard from MoYou and I were posting nonstop in the social app created for Cosmoprof and quickly became friends. Needless to say this was one of my first stops at Cosmoprof and I couldn’t wait to meet him and learn more about MoYou. This MoYou brand is based out of United States and to not be confused with MoYou London. Richard was kind enough to send my home with their Kitty Set and an extra bottle of stamping polish to share with you guys. Now I have to be honest, when I read Kitty Set I got super excited…. but kitty meant small set, no kitties. 🙁 My kit had the white stamping polish, stamper and scraper, and plate numbers 202 & 237. I also received a bottle of their lilac stamping polish. First and foremost, I had zero issues with any of their products. Everything worked perfectly. The stamping polish was rich and vibrant, the plates had a clean transfer, and the stamper transferred with out ruining the image. 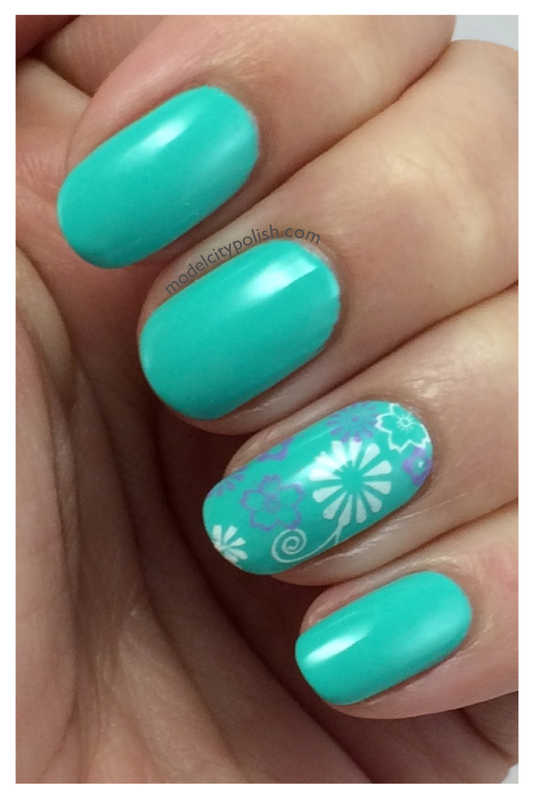 I used both colors of polish and both plates to create some fun, floral accent nails. I then sealed it all with a coat of HK Girl Top Coat. So what do you guys think of MoYou? All in all I am very impressed. I certainly need more because you can never have enough stamping plates and polish. Please check out all that MoYou has to offer and give them a follow on Facebook, Twitter, and Instagram. Thank you so much for stopping by today and I look forward to seeing you all again tomorrow. These were given to me for review purposes but that does not influence my review. But… no kitty? Sad. 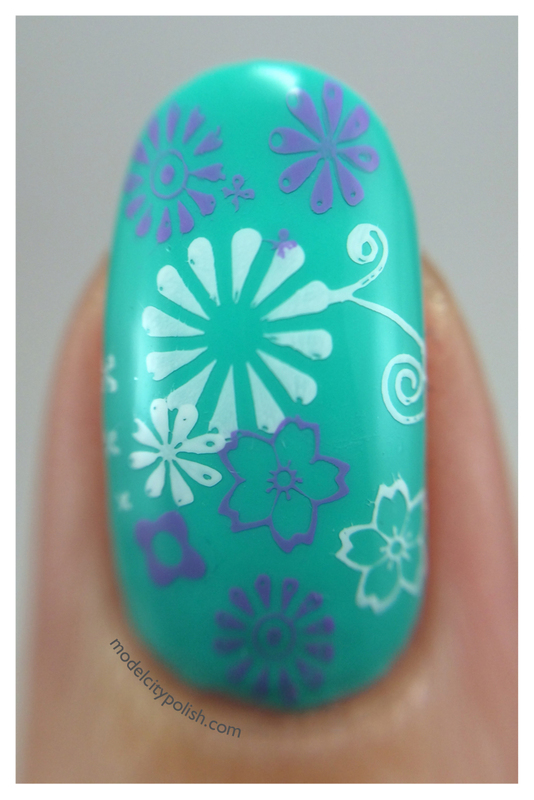 Their stamping polish looks lovely though, I might have to pick some up!